PoE, Wireless & Testers - POE-24+2-Switch-M - Only $599.95! 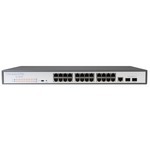 The Managed PoE Switch POE-24+2-Switch-M support 24* 10/100/1000Mbps auto-negotiation Base-T ports (including 24 IEEE802.3af/at-compliant PoE ports, free of power lines) and 2 Gigabit SFP ports, supports at most 24* 802.3af-compliant powered devices (single port output power: 15.4W) or 14*802.3at-compliant powered devices (single port output power: 30W), and a maximum transmitting distance of 100m. Plug-and-play design, easy to install and operate. 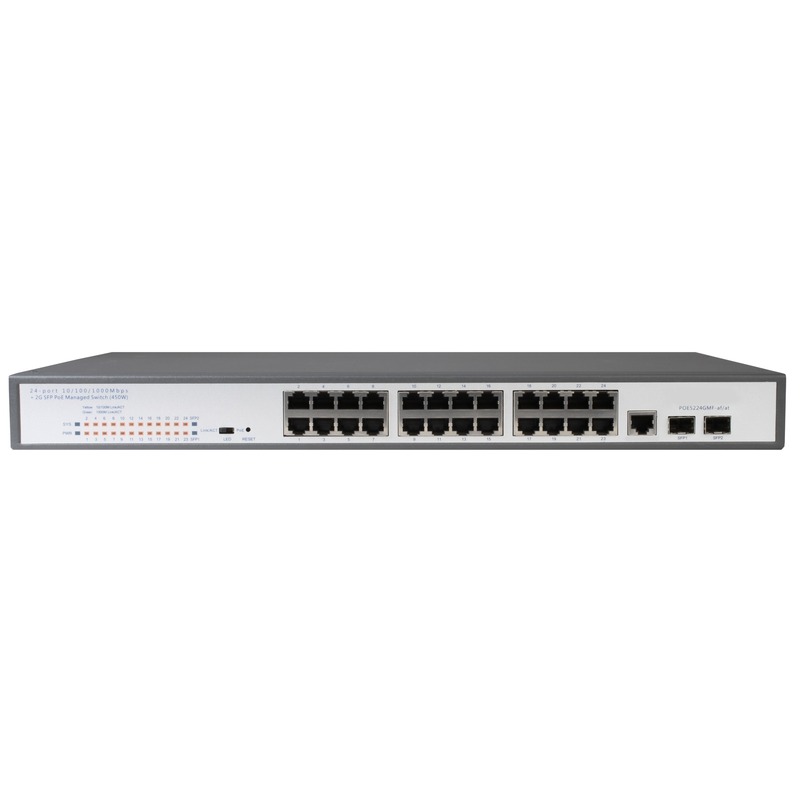 The electrical power and data transmission on the same cable can expand your network to the places where no power lines or outlets, where you can install devices such as APs, IP cameras, or IP phones etc.